Some of the resources listed here are materials that we have found helpful in our work or that our patients have found useful. Some books were recommended by trusted colleagues. In addition, we asked the readers of our Shrink Rap blog to tell us what books they have found helpful, and we included many of their recommendations here. Other resources listed here were sources for information included in this book. In a more scholarly book, these works would be cited in footnotes, but we have chosen to weave our recommended readings and our sources together in one place. Note: For the longer web links (URLs), we include within brackets a shorter bit.ly version to make it easier to type the link into your browser. For example, the short link to our blog post about our readers’ favorite mental health books is http://bit.ly/99yzxy. 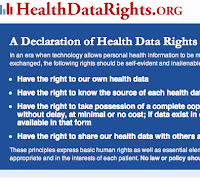 An updated list of this section, with clickable links, can be found at http://bit.ly/shrinkyreading [which is this page]. Michael Franz Basch, Understanding Psychotherapy: The Science behind the Art (New York: Basic Books, 1988). Judith S. Beck, Cognitive Therapy: Basics and Beyond (New York: Guilford Press, 1995). T. Byram Karasu, Wisdom in the Practice of Psychotherapy (New York: Basic Books, 1992). Peter D. Kramer, Should You Leave? (New York: Scribner, 1997). Deborah A. Lott, In Session: The Bond between Women and Their Therapists (New York: W.H. Freeman, 1999). Jan Scott, J. Mark G. Williams, and Aaron T. Beck, Cognitive Therapy in Clinical Practice: An Illustrative Casebook (New York: Routledge, 1989). Susan C. Vaughan, The Talking Cure: The Science behind Psychotherapy (New York: Putnam, 1997). Irvin D. Yalom and Ginny Elkin, Every Day Gets a Little Closer: A Twice-Told Therapy (New York: Basic Books, 1974). Irvin D. Yalom, Existential Psychotherapy (New York: Basic Books, 1980). Irvin D. Yalom, The Gift of Therapy: An Open Letter to a New Generation of Therapists and Their Patients (New York: HarperCollins, 2002). Irvin D. Yalom, Love’s Executioner and Other Tales of Psychotherapy (New York: Basic Books, 1989). Patrick Casement, Learning from the Patient (New York: Guilford Press, 1991). Fred M. Levin, Psyche and Brain: the Biology of Talking Cures (International Universities Press, 2004). Janet Malcolm, Psychoanalysis: The Impossible Profession (New York: Knopf, 1981). Irvin Yalom, Lying on the Couch: A Novel (New York: Basic Books, 1996). Edmund J. Bourne, The Anxiety and Phobia Workbook, 4th ed . (Oakland, CA: New Harbinger, 2005). David D. Burns, Feeling Good: The New Mood Therapy, Revised and Updated (New York: Avon, 1999). Lana R. Castle, Bipolar Disorder Demystified: Mastering the Tightrope of Manic Depression (New York: Marlowe, 2003). J. Raymond DePaulo and Leslie Alan Horvitz, Understanding Depression: What We Know and What You Can Do About It (New York: Wiley, 2002). Jerome D. Frank and Julia B. Frank, Persuasion and Healing: A Comparative Study of Psychotherapy , 3rd ed. (Baltimore: Johns Hopkins University Press, 1991). Dan Frosch, “States Differ on Marijuana for PTSD,” New York Times, March 24, 2010. Marc Galanter and Herbert D. Kleber, Textbook of Substance Abuse Treatment , 4th ed. (Washington, DC: American Psychiatric Publishing, 2008). Frederick K. Goodwin and Kay Redfield Jamison, Manic-Depressive Illness: Bipolar Disorders and Recurrent Depression , 2nd ed. (New York: Oxford University Press, 2007). Marya Hornbacher, Wasted: A Memoir of Anorexia and Bulimia (New York: HarperCollins Publishers, 1998). Kay Redfield Jamison, Night Falls Fast: Understanding Suicide (New York: Knopf, 1999). Kay Redfield Jamison, An Unquiet Mind: A Memoir of Moods and Madness (New York: Knopf, 1995). Nancy I. Mace and Peter V. Rabins, The 36 Hour Day: A Family Guide to Caring for Persons with Alzheimer’s Disease, Related Dementing Illnesses, and Memory Loss in Later Life , 4th ed. (Baltimore: Johns Hopkins University Press, 2006). James F. Masterson, The Search for the Real Self: Unmasking the Personality Disorders of Our Age (New York: Free Press, 1988). Francis Mark Mondimore, Bipolar Disorder: A Guide for Patients and Families , 2nd ed. 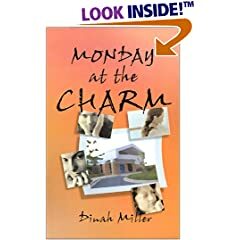 (Baltimore: Johns Hopkins University Press, 2006). Francis Mark Mondimore, Depression: The Mood Disease , 3rd ed, (Baltimore: Johns Hopkins University Press, 2006). Jim Phelps, Why Am I Still Depressed? Recognizing and Managing the Ups and Downs of Bipolar II and Soft Bipolar Disorder (New York: McGraw-Hill, 2006). D. Robinson, M. Woerner, J. Alvir, et al., “Predictors of Relapse Following Response from a First Episode of Schizophrenia or Schizoaffective Disorder.” [free full text] Archives of General Psychiatry 56 (1999): 241-47. Jenni Schaefer and Thom Rutledge, Life without ED: How One Woman Declared Independence From Her Eating Disorder and You Can Too (New York: McGraw-Hill, 2004). Deborah Sichel and Jeanne W. Driscoll, Women’s Moods: What Every Woman Must Know about Hormones, the Brain, and Emotional Health (New York: William Morrow, 1999). Susan Sheehan, Is There No Place on Earth for Me? (New York: Vintage, 1982). Andrew Solomon, The Noonday Demon: An Atlas of Depression (New York: Scribner, 2001). M. Zanarini, L. Barison, F. Frankenburg, et al., “Family History Study of the Familial Coaggregation of Borderline Personality Disorder with Axis I and Nonborderline Dramatic Cluster Axis II Disorders.” [free full text] Journal of Personality Disorders 23 (2009): 357-69. Peter D. Kramer, Listening to Prozac (New York: Viking, 1993). Alan F. Schatzberg, Jonathan O. Cole, and Charles Debattista, Manual of Clinical Psychopharmacology , 7th ed. (Washington, DC: American Psychiatric Publishing, 2010). Stephen M. Stahl, Stahl’s Essential Psychopharmacology , 3rd ed. (New York: Cambridge University Press, 2008). Daniel J. Carlat, The Psychiatric Interview: A Practical Guide , 2nd ed. (Philadelphia: Lippincott Williams and Wilkins, 2004). Robert Klitzman, In a House of Dreams and Glass: Becoming a Psychiatrist (New York: Simon and Schuster, 1995). Paul R. McHugh and Philip R. Slavney, The Perspectives of Psychiatry , 2nd ed. (Baltimore: Johns Hopkins University Press, 1998). Charles F. Zorumski and Eugene Rubin, Demystifying Psychiatry: A Resource for Patients and Families (New York: Oxford University Press, 2009). 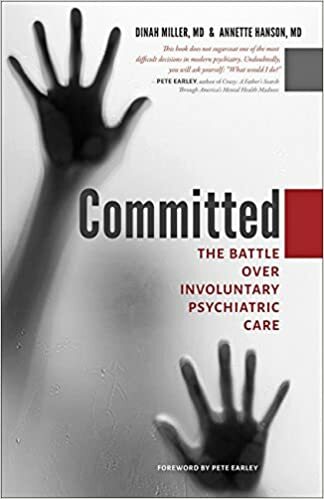 Steven S. Sharfstein, Faith B. Dickerson, and John M. Oldham, Textbook of Hospital Psychiatry (Washington DC: American Psychiatric Publishing, 2009). Viktor E. Frankl, Man’s Search for Meaning (Boston: Beacon Press, 1968). John Gottman, The Seven Principles for Making Marriage Work (New York: Crown, 1999). Gordon Livingston, How to Love (New York: De Capo, 2009). Harriet Lerner, The Dance of Anger: A Woman’s Guide to Changing the Patterns of Intimate Relationships (New York: HarperCollins, 1985). Harriet Lerner, The Dance of Intimacy (New York: HarperCollins, 1989). M. Scott Peck, The Road Less Traveled: A New Psychology of Love, Traditional Values and Spiritual Growth, 25th Anniversary Edition (New York: Touchstone, 2003). Douglas Stone, Bruce Patton , Sheila Heen, and Roger Fisher, Difficult Conversations: How to Discuss What Matters Most (New York: Viking Adult, 1999). Daniel J. Carlat, Unhinged: The Trouble with Psychiatry: A Doctor’s Revelations about a Profession in Crisis (New York: Simon and Schuster, 2010). Gardiner Harris, “Crackdown on Doctors Who Take Kickbacks,” New York Times, March 3, 2009. Gardiner Harris, “Document Details Plan to Promote Costly Drug,” New York Times, September 1, 2009. Jeanne Steiner, Michael Norko, Susan Devine, et al., “Best Practices: Developing Ethical Guidelines for Pharmaceutical Company Support in an Academic Mental Health Center.” [free full text] Psychiatric Services 54 (2003): 1079-89. National Resource Center on Psychiatric Advance Directives. America’s Law Enforcement and Mental Health Project (Public Law 106-515), 1999-2000. Paul Appelbaum and Tom Gutheil, Clinical Handbook of Psychiatry and the Law (Philadelphia: Lippincott Williams and Wilkins, 2006). Canterbury v. Spence, 464 F.2d 772 (D.C. Cir. 1972). 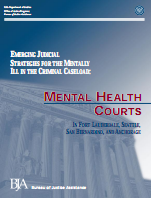 John S. Goldkamp and Cheryl Irons-Guynn, Emerging Judicial Strategies for the Mentally Ill in the Criminal Caseload: Mental Health Courts in Fort Lauderdale, Seattle, San Bernardino, and Anchorage. Bureau of Justice Assistance Monograph, April 2000, NCJ 182504. The MacArthur Coercion Study, May 2004. Gary Melton, John Petrila, Norman Poythress, and Christopher Slobogin, Psychological Evaluations for the Courts (New York: Guilford Press, 2007). Pearson v. Probate, 309 U.S. 270 (1940). Richard Rosner, ed., Principles and Practice of Forensic Psychiatry (New York: Oxford University Press; A Hodder Arnold Publication, 2003). Diane Schetky and Elissa Benedek, Clinical Handbook of Child Psychiatry and the Law (Philadelphia: Williams and Wilkins, 1992). Essi Viding, R. James Blair, Terrie Moffitt, and Robert Plomin, “Evidence for Substantial Genetic Risk for Psychopathy in 7-Year-Olds.” Journal of Child Psychology and Psychiatry 46 (2005): 592-97. Jerome Groopman, How Doctors Think (New York: Houghton Mifflin, 2007). Jonathan R. T. Davidson, Kathryn M. Connor, and Marvin Swartz, “Mental Illness in U.S. Presidents between 1776 and 1974: A Review of Biographical Sources.” Journal of Nervous and Mental Disease 194 (2006): 47-51. P. Fitzgerald, “Brain Stimulation Techniques for the Treatment of Depression and Other Psychiatric Disorders.” Australasian Psychiatry 16 (2008): 183-90. 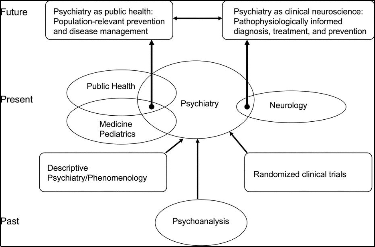 Charles F. Reynolds III, David A. Lewis, et al., “The Future of Psychiatry as Clinical Neuroscience.” [free full text] Academic Medicine 84 (2009): 446-50.